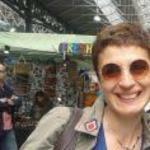 I am passionate about travelling, foreign cultures and languages. I spent quite a lot of my life in Milan and I really feel at home here! 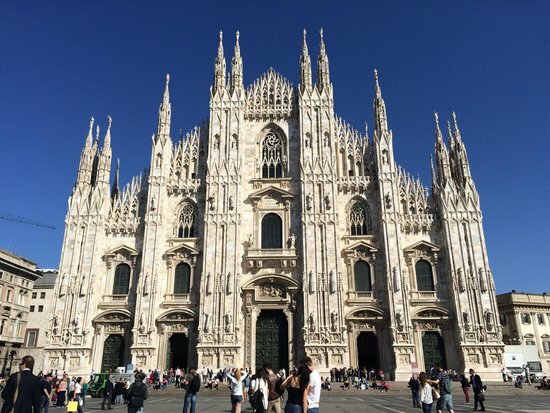 Get ready to start your tour around beautiful Milan! These are the iconic places you shouldn't miss, whether it's your first visit or you're a seasoned Milan explorer. When ordering a drink, first order at the till, then pay and take your receipt with you to place the formal order with the barman. Taxis are white and are widely used in Milan. Catch a taxi from one of the many taxi stands or simply hail one in the street. 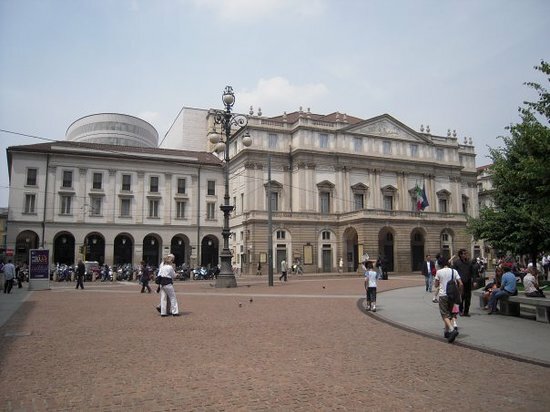 Milan is the capital of fashion, and you may discover an unwritten dress code in some venues. Rule of thumb: Dress sharp when going out. MilanoCard offers free public transportation, free entry to 20+ museums and discounts for some restaurants and attractions. You can purchase it online. The fastest public transport is the Metro. Both day and multi-day passes are available. There could be an extra charge if you have a drink seated at a table - it is a tradition to enjoy drinks standing at the bar counter. Restaurants often include the service charge, but it is nice to tip if the service warrants it. 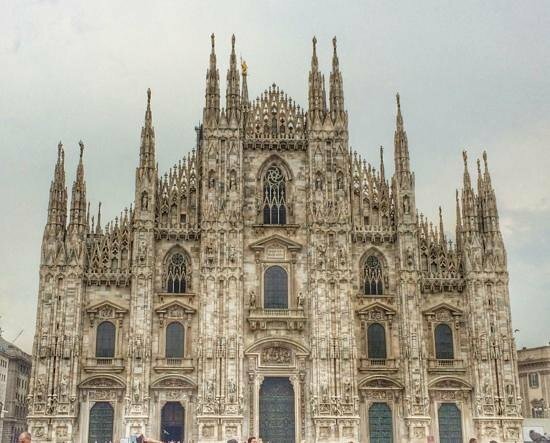 Located in the very heart of the city, the famed Duomo is one of the largest Gothic churches in Italy. Its highest spire is dominated by a golden statue of the Virgin Mary, affectionately known as the 'Madonnina,' the protector of Milan. The most precious relic on display inside is the True Cross, believed to belong to Jesus when he was crucified. Weather permitting, visit the rooftop to gaze at an amazing view of Milan and its courtyards - a great photo opportunity. To reach the rooftop, you can choose to take the lift or use the stairs. Bear in mind that there are still some stairs to reach the rooftop, even if you chose to take the lift! Remember to dress appropriately - covered legs and shoulders - when entering the cathedral. Visiting the Cathedral is free, however a bag check is required by the security guards at the entrance. The Duomo sometimes holds concerts, which are well worth attending - the organ is one of the world's greatest, and the music schools trained choirboys since the 15th century. You cannot enter the Cathedral with big bags and suitcases. While the Opera House facade is not that impressive, the luxury interiors are breathtaking. If you like Opera and Ballet, this could also be the ideal occasion to enjoy a performance and test the sound quality of the acoustic system, which was remodeled in 2004. Otherwise, you can glimpse the auditorium from the boxes by taking a tour of the theater's museum, as long as rehearsals are not taking place. To set the opulent tone, walk through Galleria Vittorio Emanuele II, grand glass gallery shopping complex that connects Duomo Square to La Scala. To be sure you get a look at the interiors, check the website or call ahead to make sure you visit the museum when there is not a rehearsal or performance taking place. The Ansaldo Workshops, where costumes and sets are produced for the performances, offer a unique behind-the-scenes view of the Opera. Guided tours are available Tues. and Thurs. If you plan to take in a show, look at the seasonal schedule online and book tickets well in advance. 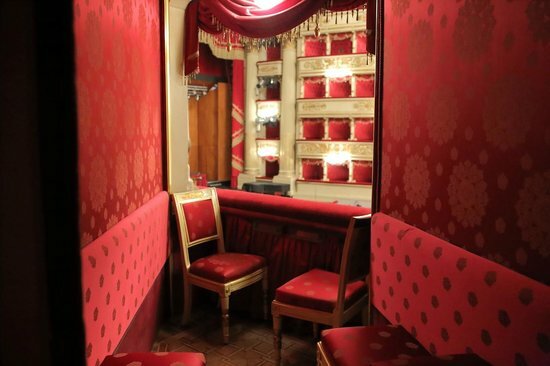 To the left side of Teatro alla Scala Opera House, you'll find Giuseppe Verdi road, a street lined with antique shops and stores selling professional products for fine arts. Follow this to the pretty neighborhood of Brera, with its narrow streets, cute chops, and tasty restaurants. 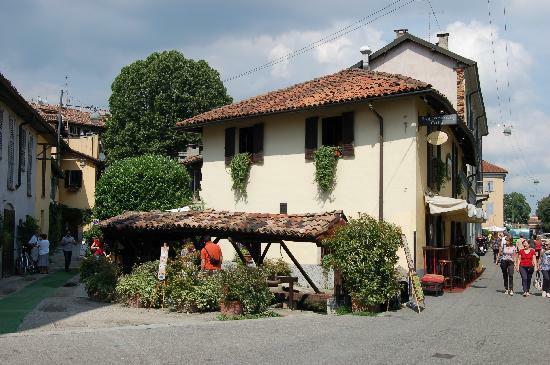 Via Fiori Chiari, one of the most iconic streets here, is full of good restaurants. Brera is also famous for Pinacoteca di Brera, Milan's main art gallery which houses beautiful paintings of the Lombard and Venetian schools. The most famous of these include Caravaggio's 'Supper at Emmaus', 'The Kiss' by Hayez and 'The Montefeltro Altarpiece' by the Italian Renaissance artist, Piero della Francesca. 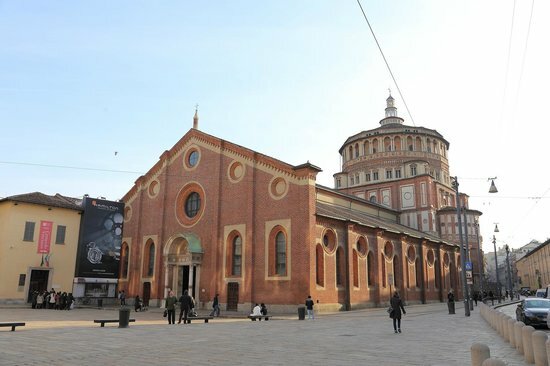 Close to Via Brera is San Marco basilica, a church which hosts a variety of beautiful concerts throughout the winter season. 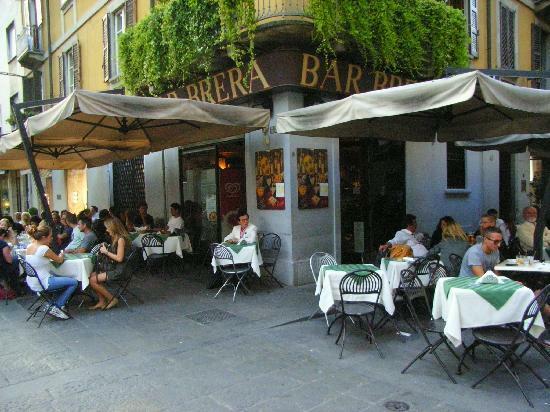 One al fresco dining option here is “l’Osteria di Brera”, which serves a wide selection of regional dishes. Via Pontaccio, Via FatebeneFratelli, Via dei Giardini, Via Monte di Pieta, Via Ponte Vetero and Via Mercato. 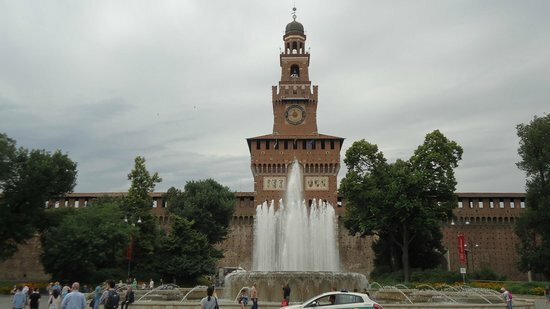 Sforza Castle was built in the XV century by Francesco Sforza, Duke of Milan. Today the impressive structure is home to several museums, including the Egyptian museum and the Museum of Ancient Art, which features Michelangelo’s final (and unfinished) sculpture, Rondanini Pietà. 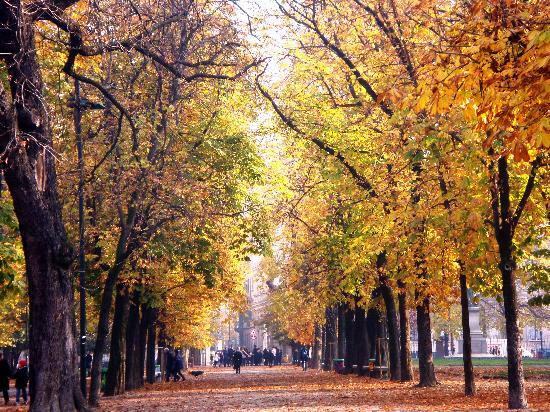 After your visit, exit from the rear entrance to find yourself in Sempione park, the biggest green area in Milan. If you have time, continue walking until you reach the Arch of Peace, the triumphal arch and a sort of virtual gate to Sempione Street. You can reach the castle by taking Via Dante, a pedestrian street close to Duomo Square and lined by trendy shops and bars. Entrance to the castle is free, but the museums charge admission. 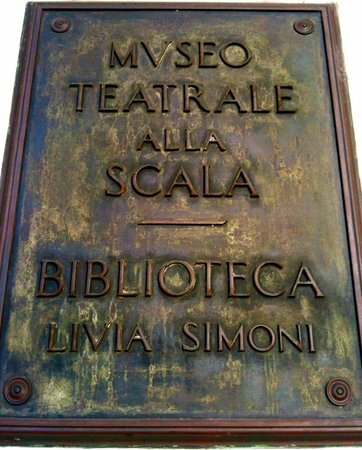 Along Via Dante, look for “Piccolo Teatro di Milano”, Italy’s first permanent theatre, founded 1947, and now with 3 sections: Theatro Grassi, Teatro Studio and Teatro Strehler. 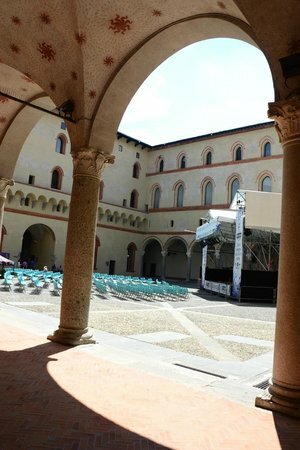 Outdoor cultural events often occur in the large courtyard, just past the main entrance. Guided tours are sometimes available of the Crenelated roof, the Ghirlanda underground passages and the Guardroom. Check the museum website under "Culture and Events" for details. Free admission to all is available on Tues. from 2-5:30pm and after 4:30pm Wed. through Sun. Each museum has its own admission, or you can purchase a 3-day pass which offers free admission to all Civic Museums. A very popular Christmas fair, called “Oh bej! Oh bej!,” is held near the Castle early in December. It sells traditional festive food, decorations, antiques and souvenirs. 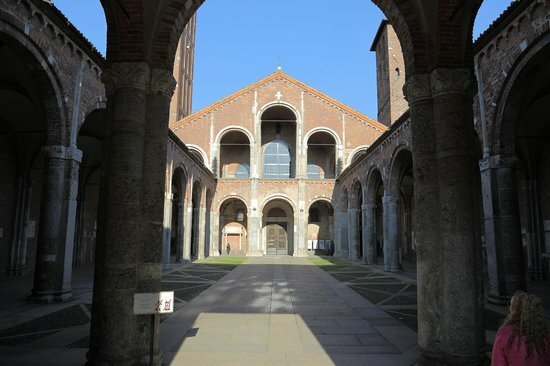 Basilica di Sant'Ambrogio is one of the oldest churches in Milan, and second in importance only to the Duomo Cathedral. The Church is dedicated to St Ambrose, bishop of Milan, whose remains lie in a crypt here, together with the bodies of martyrs Gervasio and Protaso. 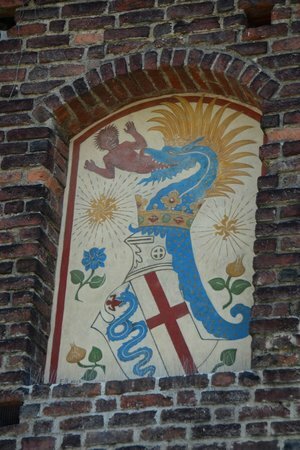 Milanese people are proud of the Ambrose religious rite, which includes a mass celebrated with a slightly different liturgy to the Roman one, and more holiday days during the Ambrosian Carnival. 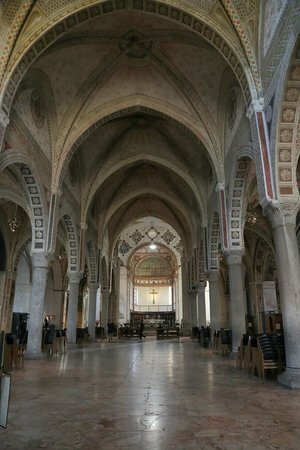 A traditional mass is held here each Sunday, which features the Ambrosian rite in Latin. 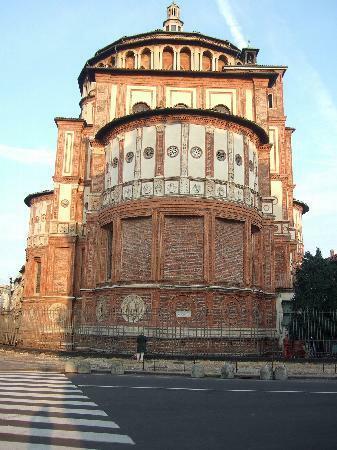 The Church is not far from Università Cattolica del Sacro Cuore, the top private university in Milan. 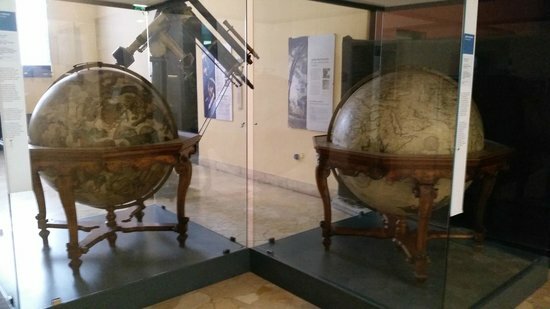 Founded in 1973, the Museo della Scienza is dedicated to Italian genius Leonardo da Vinci. 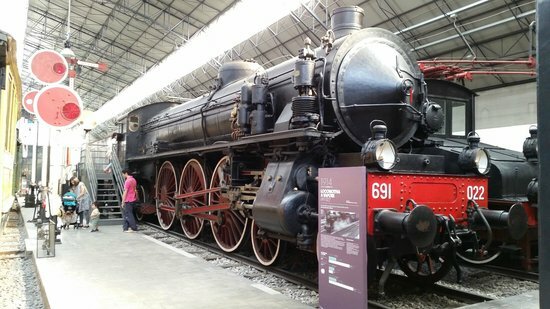 It is the largest museum of its kind in Italy and one of the largest in Europe. There are seven departments in the museum: Art & Science, Energy, Communications, Materials, New Frontiers, Transport and a section with interactive labs for children. Don't miss a guided visit onboard the majestic Italian submarine in the transport section - I can still remember when it was driven through the narrow streets of Milan on its way to the museum in 2005. It was the talk of the town for weeks! You can take part in some interactive labs in the materials section to learn more about recycling and other processes. As the museum is located just a short distance away from the Basilica of Saint Ambrose, you can easily plan to visit both in the same day. There is an additional charge to visit the submarine - book in advance due to high demand. 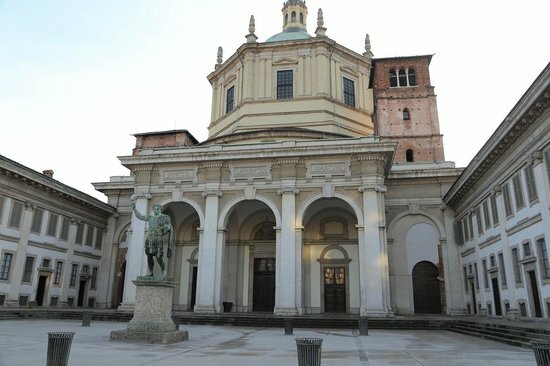 This beautiful church, built in the second half of the 15th century, is a UNESCO World Heritage site and home to da Vinci's 'The Last Supper,' a definite Milanese must-see. The seven chapels located on either side of the church were originally used as burial places for the most important Milanese families, and are also worth exploring. Of these, the Chapel dedicated to the Virgin of Graces is the most interesting - it existed before the church itself. 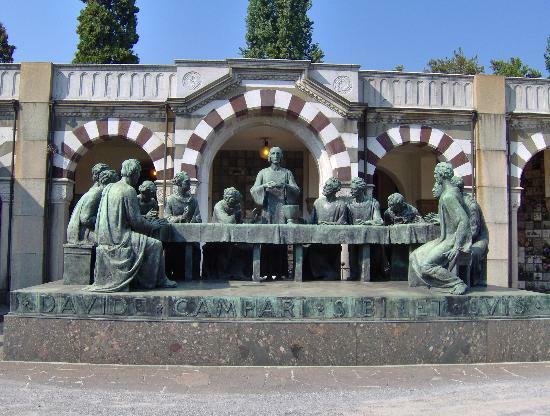 A visit to see “The Last Supper“ should be booked well in advance. Look at the disciples’ faces in da Vinci's fresco - there's a theory that you can catch a glimpse of Leonardo's self-portrait in a couple of them. 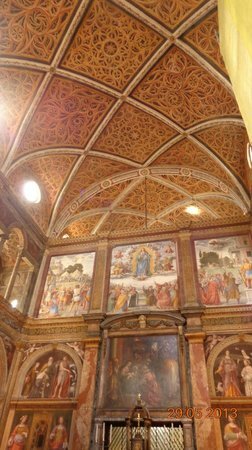 Chiesa di San Maurizio al Monastero Maggiore, which was once one of the most prestigious Benedictine female monasteries in Milan, is often referred to as the city's 'Sistine Chapel' because it hosts some of the most important frescos from the Milanese Renaissance. 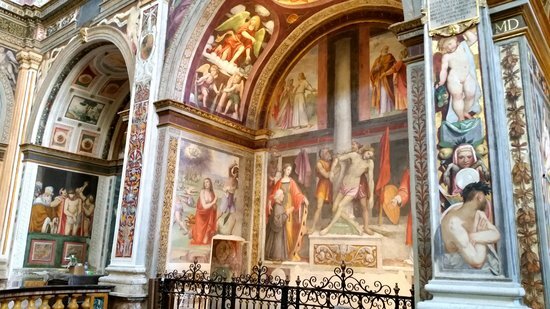 Visit Bezozzi Chapel to admire astonishing frescos by Bernardini Luini, a famous Italian painter who was clearly influenced by Leonardo da Vinci. Among his works are scenes of the life and martyrdom of Saint Catherine of Alexandria, as well as his last paintings, which were finished posthumously by his sons Aurelio and Giovan Pietro. The Church is open Tuesday through Saturday from 9.30am to 5.30pm. 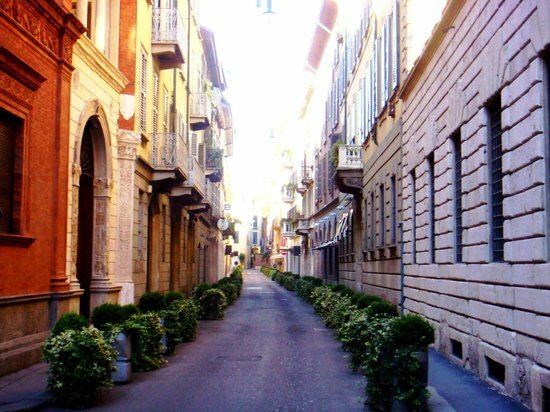 Corso Magenta, the beautiful street where the church is located, starts at nearby Cadorna Train Station and leads all the way to Santa Maria delle Grazie Basilica. Worth a walk. 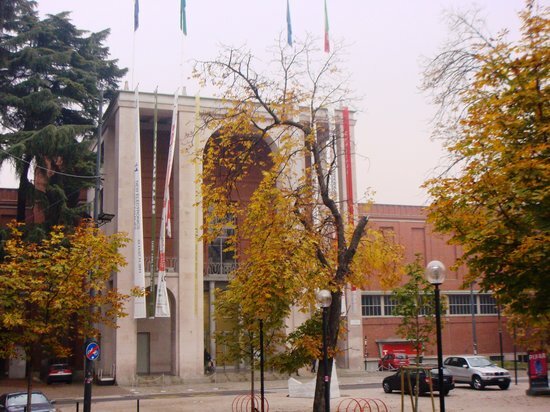 The Archaeological Museum of Milan is located next door. Don't miss the beautiful plastic model of ancient Milan in the entrance hall. 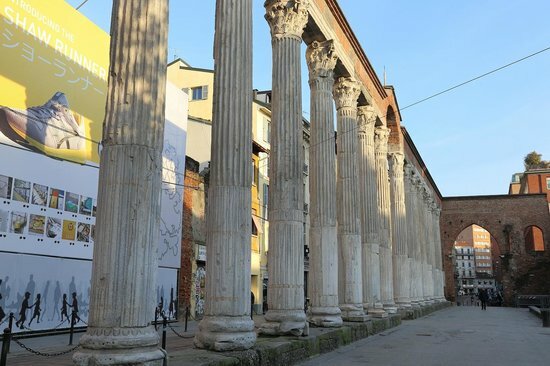 This beautiful Roman church is one of the oldest in Milan and is located in front of Colonne di San Lorenzo, another famous tourist hotspot. I highly recommend a visit to Saint Aquilino's chapel, a mausoleum featuring a third-century fresco, fragments of precious mosaics dating back to the Paleochristian period, and a sarcophagus believed to have been built for the burial of Galla Placidia, daughter of the Roman Emperor Theodosius. 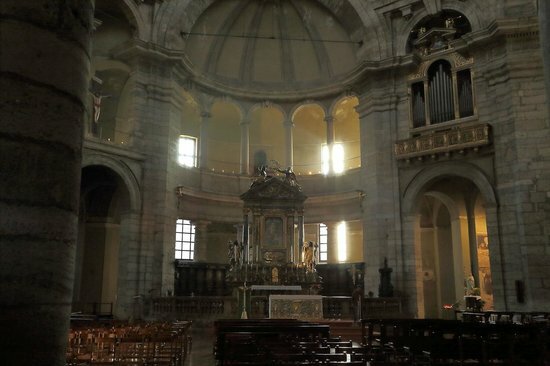 The presbytery also hosts a casket containing the remains of Saint Aquilino, and behind the altar there is a small ladder leading to the basement where you can see the foundations of the old church. The square in front of the church features beautiful Roman columns, creating a nice backdrop for an evening drink at one of the bars here. 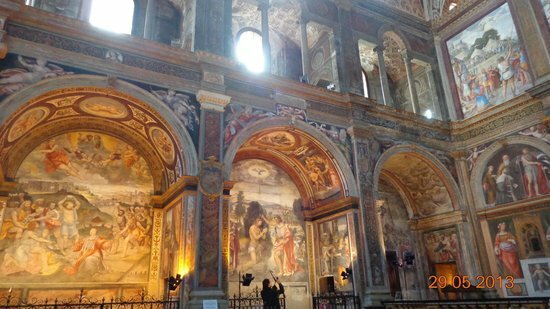 To visit Saint Aquilino’s chapel, you have to pay a small entrance fee. 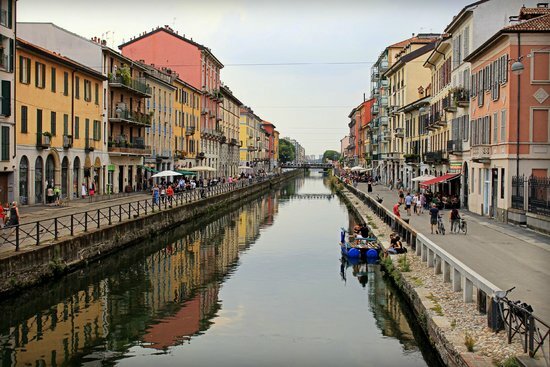 On the last Sunday of each month, except in July, the area is home to the Naviglio Grande Antiques Market, a traditional fair along the canals. 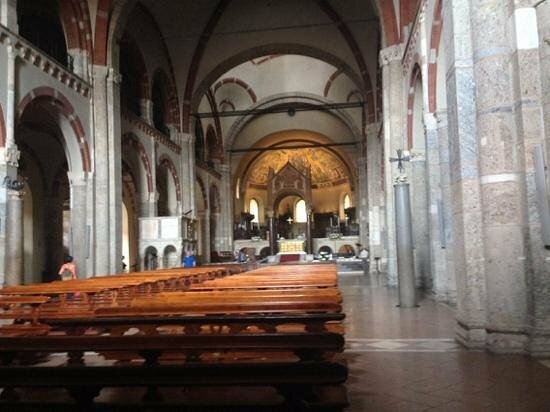 On the way, stop at the beautiful Basilica of Sant Eustorgio, which according to legend houses the tomb of Three Magi. Be sure to visit “Vicolo dei Lavandai,” a charming little corner of Alzaia Naviglio Grande that is famous for its old wash-house where ladies used to wash their clothes. 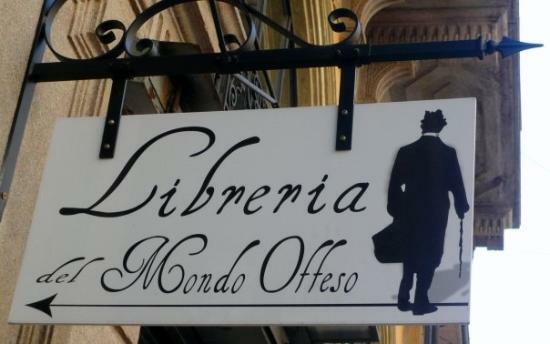 A nice itinerary: Walk up Via Torino from Duomo Square to Colonne di San Lorenzo. 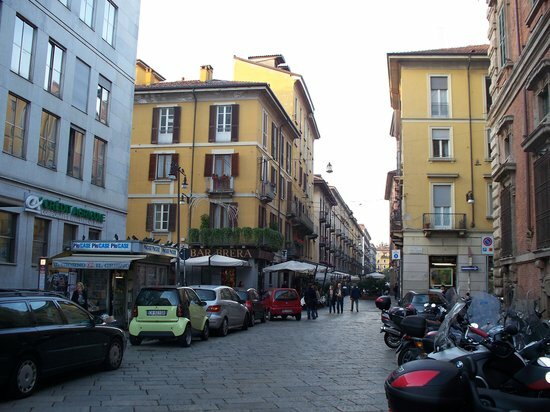 Cross the pedestrian bridge and walk up Corso di Porta Ticinese, a street with trendy shops/bars. It may be hard to believe, but Monumental Cemetery is the second most visited place in Milan, after the Cathedral. 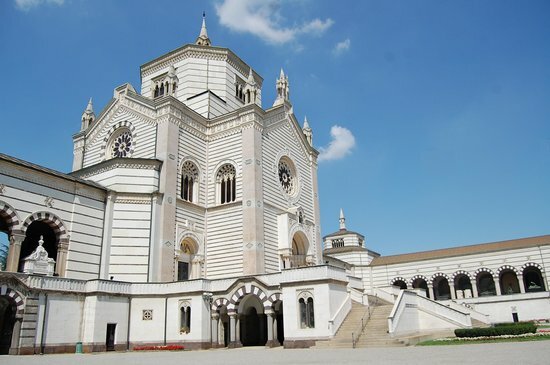 Also called an 'open-air museum,' the Cimitero Monumentale is an ode to history, art, and ostentation. 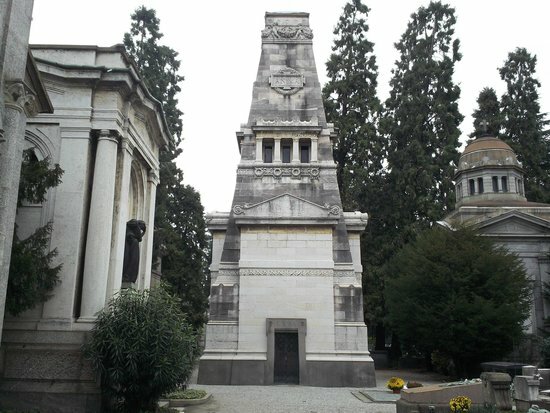 Founded in 1866, the cemetery is the final resting place of many Milanese elite, most of whom are celebrated in grand style with monuments commissioned from well-known artists like Luca Beltrami, Pietro Cascella, Lucio Fontana, Arturo Martini, Giò Pomodoro, Giò Ponti, Medardo Rosso and many more. Start your visit at the Famedio (the Temple of Fame), a majestic building that contains the tombs of some of the most prestigious citizens of Milan: Luca Beltrami, Anna Kuliscioff, poet Salvatore Quasimodo, Francesco Hayez (painter of 'The Kiss'), composer Arturo Toscanini, poetess Alda Merini, singer and composer Giorgio Gaber, actress Franca Rame, and many more. 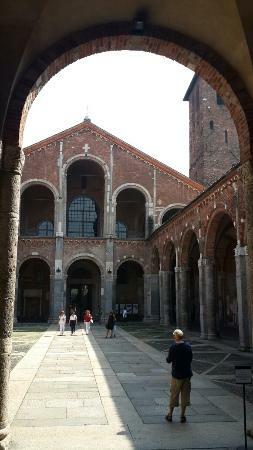 Several Milanese industrialist families, like Alemagna, Bonomelli, Campari, and Salmoiraghi, are also buried here. Take Green Tube (Tube 2) or Lilac Tube (Tube 5) and alight at Garibaldi FS. Free guided tours are available, but you have to book them in advance. I would recommend a visit on a sunny morning, when the cemetery is quiet and peaceful. 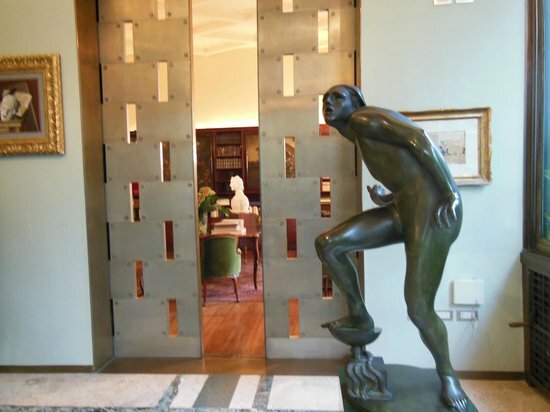 Situated on a quiet street near Corso Venezia, Villa Necchi Campiglio once belonged to the Necchi Family, the manufacturers of the famous Necchi sewing machines. 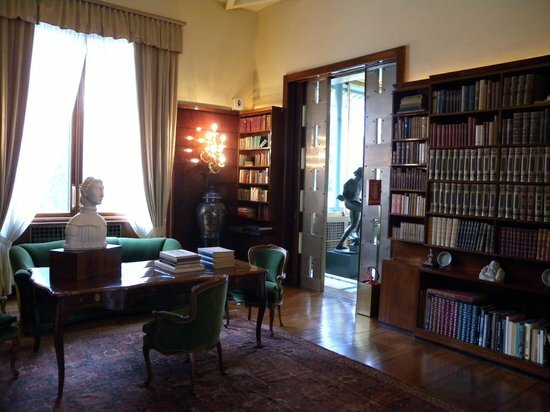 In 2001, Gigina and Nedda Necchi, who had no direct heir, donated their historic villa to the Italian National Trust, and the beautiful estate is now part of the Milanese Historic Museums network - together with the Bagatti Valsecchi Museum, Casa Museo Boschi-Di Stefano, and Museo Poldi Pezzoli. The beautiful and well preserved villa is decorated with furnishings, paintings and sculptures that mainly belonged to the Necchi Campiglio family. 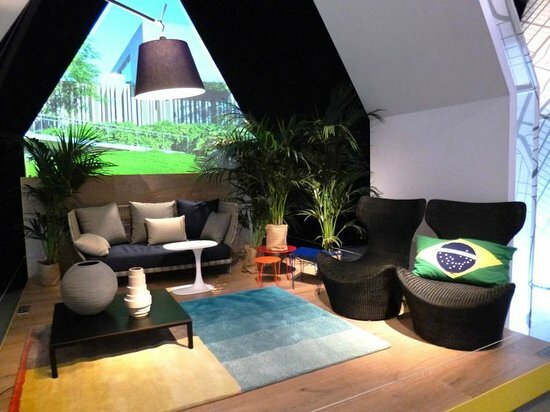 There is a pleasant cafeteria located inside the villa. 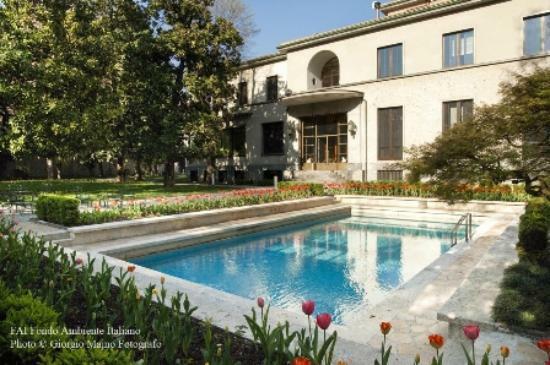 On Via dei Cappuccini, a few minutes away, you'll find Villa Invernizzi, a little gem which houses a colony of pink flamingos walking undisturbed in a beautiful private park. Entrance to the villa is free if you become a member of FAI after buying an annual membership card. Entrance to the garden and the pool is free and well worth a visit. To visit the villa, you have to book for a guided tour. A cumulative ticket for all four historic villas is available and is valid for 6 months. Located in the city centre, not far from the Fashion District, this beautiful garden is a favorite spot for a morning jog or bike ride, and the small lake is a pleasant place to rest on sunny days. 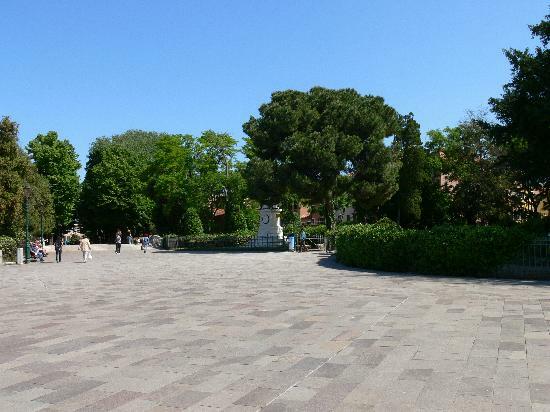 It has always been known as Giardini Pubblici and Giardini di Porta Venezia, but was renamed in 2002 as a tribute to Indro Montanelli, a famous journalist who died in 2001. The garden also hosts Italy's largest Planetarium, 'Ulrico Hoepli,' and the Civic Museum of Natural History, the biggest natural history museum in Italy and one of the most important ones in Europe. You can reach the park by Tube 1 and alight at Palestro Station. The planetarium hosts thematic events throughout the year, with astronomical observation sessions and conferences for both children and adults. Every Friday from 2pm, entrance to the Museum of Natural History is free. Room 7, entirely dedicated to dinosaurs, remains the major attraction for children. “Orticola,” a botanical fair held each May, is a nice opportunity to learn more about gardening. Literally translated as 'Quadrilateral of Gold,' Quadrilatero d'Oro is also known as the 'Fashion Quadrilateral' because it is home to some of the most famous Italian and international luxury brands. On its main streets - Via Montenapoleone, Via Della Spiga, Via Sant’Andrea, and Via Borgospesso - you'll find labels from Armani, Prada, and Gucci to Chanel, Tiffany, and Yves Saint Laurent - plus many, many more. 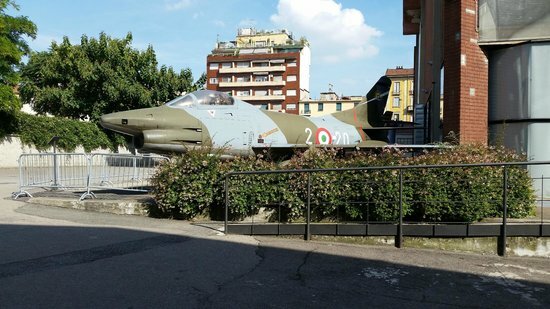 Nearby San Babila Square - with its peculiar, relatively recent fountain and concentration of nice shops and offices - is the favourite meeting point of many Milanese. 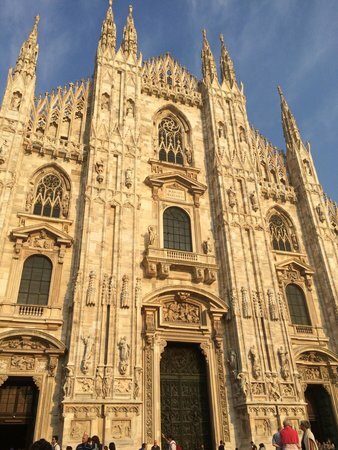 For a unique experience, try to visit during Milan Fashion Week, when international fashion brands flock to the area to showcase their new trends and collections. 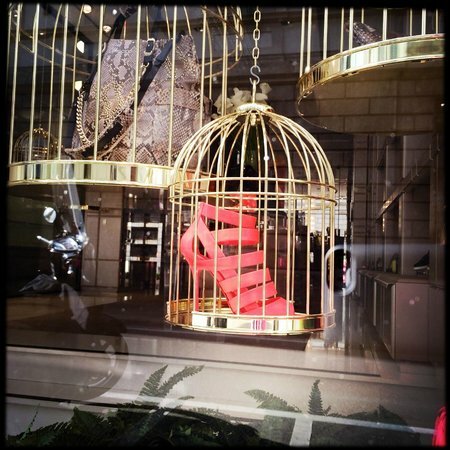 Although it is tempting here, avoid wearing high heeled shoes since cobblestones in Via della Spiga can make your life difficult. 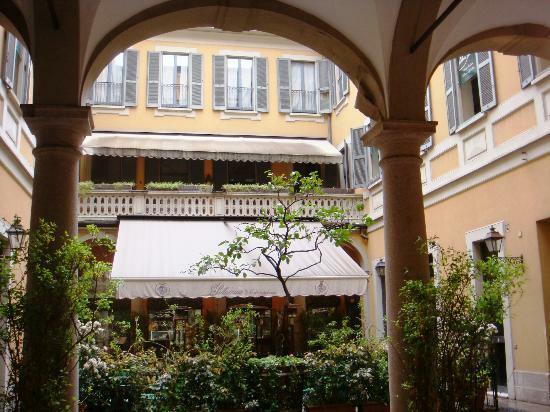 Whether or not you are shopping, enjoy a nice walk around Via della Spiga and try to peek into the charming courtyards. 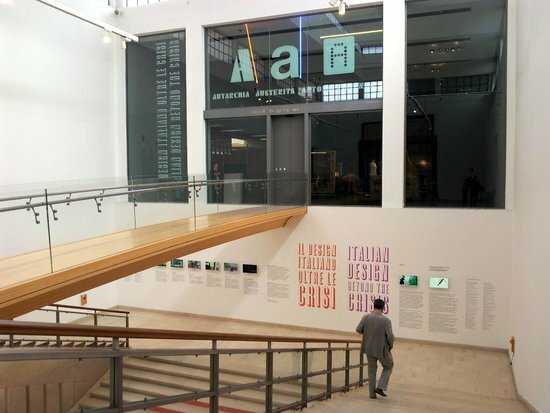 Located near Sforza Castle and Parco Sempione, La Triennale di Milano is not only a museum but a cultural institution, hosting temporary exhibitions and events that involve design, architecture, urban planning, music, and arts. There are always many things going on at once here! The al fresco tables at La Triennale's Design Cafè are a great place to rest after browsing an exhibition here. 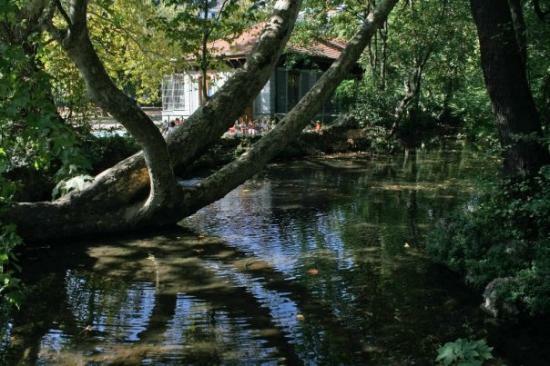 Parco Sempione, the biggest park in Milan, is located nearby - enjoy a nice walk in the open air after your visit. 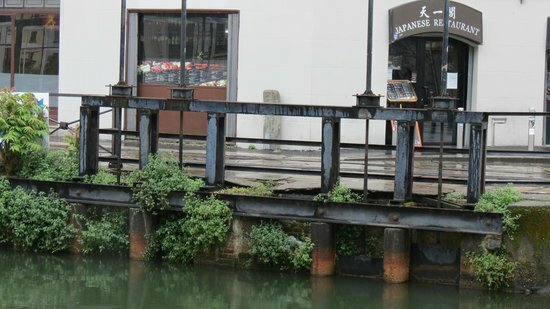 Take a look at the shop, which sells a wide collection of interesting architecture and design books. You can buy a combined ticket to visit all the exhibitions available on a particular day. This ticket is available only at the ticket counter.